Here is the mini Polaroid project I mentioned in my previous post. I was inspired by other Polaroid lovers who did similar things with their Polaroids. I wish I can remember where I saw them! Love it! 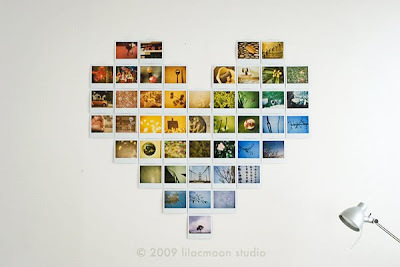 I posted a picture on my blog once of such a polaroid heart, but I don't know the source either. 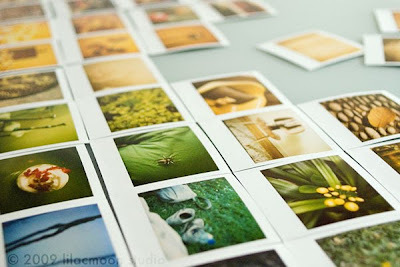 I want to do this too by the way, so pretty, but I haven't taken enough polaroids yet! It's a future project :) The rainbow effect is very cool too by the way! aaaw, this is so lovely! This is the first time I've seen an arrangement like this. It's beautiful! @blissfulveil: Aww, I wish you the best of luck on getting Polaroid films!